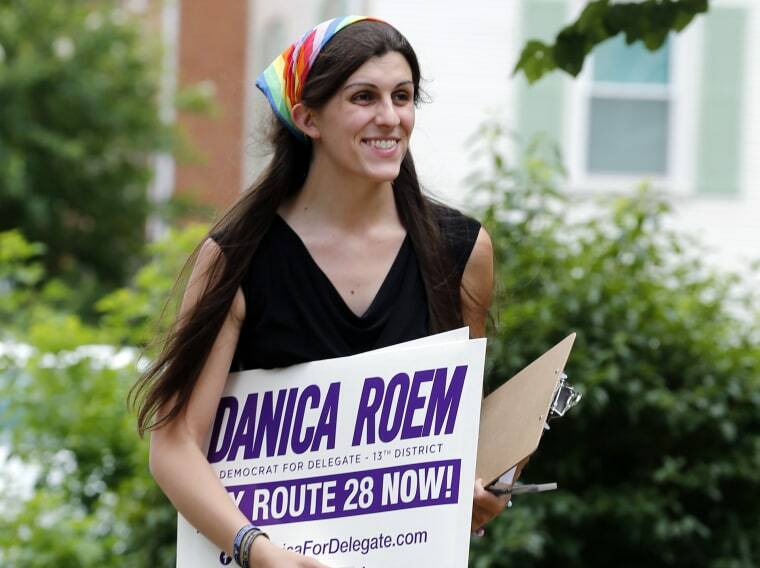 Virginia Democrat Danica Roem has been called a man by conservative opponents attacking her views on LGBTQ rights as she campaigns to become the United States’ only transgender state legislator. Roem does not shy away from her gender identity. In one campaign ad, she applies makeup at a bathroom mirror and takes hormone pills. But rather than focus on the politics of running as a transgender woman, she prefers to discuss traffic gridlock and other issues in the Nov. 7 election for the Virginia House of Delegates. Her candidacy comes as more transgender men and women are vying for voices in the political arena where they have been targeted by conservative lawmakers seeking to limit their rights, most notably by restricting bathroom access. U.S. elections this year could double the country’s number of transgender officeholders, currently at six, according to the Victory Fund, which works to elect lesbian, gay, bisexual and transgender candidates. The group has endorsed eight transgender candidates up for election this fall. A transgender man and woman are running for city council in Minneapolis. A mayoral race in Midvale, Utah, and school board contest in Erie, Pennsylvania, are among the other contests with transgender candidates. Nearly 30 races in the 2017-18 election cycle already have a transgender candidate, up from 13 in 2015-16, according to Logan Casey, a research associate at Harvard University tracking them. The community’s electoral push comes as Republican President Donald Trump’s administration has reversed guidance to public schools on allowing transgender students’ bathroom choice and wants to ban transgender people from military service. Other minority groups also have battled discrimination through gains at the polls. But transgender candidates face unique challenges in making their case to voters who often have never met another transgender person, at least not knowingly. Phillipe Cunningham, a 30-year-old black transgender man running for city council in Minneapolis, once thought he would have no chance at professional success because people would be put off by his gender identity. Now he marvels at the support he is receiving on the campaign trail. “People see me and they are like, ‘You’re cool and you know what you are talking about, and you really love this community,'” he said. In Galesburg, Illinois, a city of 30,000, 23-year-old Chris King lost an alderman’s race earlier this year in which she emphasized business development. The card she handed to voters also highlighted the diversity she would bring as a transgender woman of color. She braced for the topic to become an issue at public forums, but it never came up. In Virginia, Roem seeks to unseat a 25-year Republican incumbent of the House of Delegates who filed a bill to limit bathroom access for transgender people on the same day Roem launched her candidacy. Delegate Bob Marshall and the state Republican Party use male pronouns to refer to Roem. The party recently sent mailers to voters in her district that took issue with her support for school policies supporting transgender youth, suggesting she wanted to push an agenda on students as young as kindergarten. “The mailers absolutely do not attack Danica’s gender identity,” John Findlay, executive director of the Republican Party of Virginia, said in a statement. Marshall did not reply to requests for comment. Roem said Republicans are resorting to bullying after years of failing to address voters’ quality-of-life concerns. “This is all they have left: transphobic B.S.,” she said in an email on Monday. Roem dreams of the milestone moment that would follow an historic win with her introduction in the legislature as “the gentlewoman from Manassas.” She would smile at two transgender youth she imagines would be watching from the chamber gallery.